Birth Order: What Is The Middle Child Syndrome? Is there such a thing as middle child syndrome and if so what is it? I'm a middle child and as I've got older I've began to suffer from anxiety and depression and have a fear of going out alone, but do if I have to. I've also been very suicidal at times and wondered if this could have contributed to the way I am now? 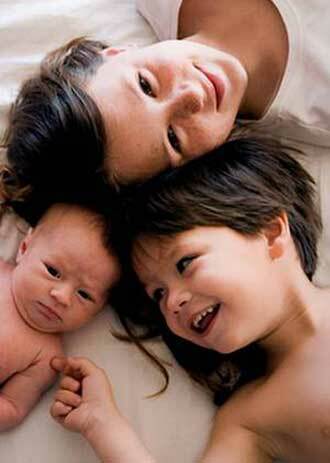 Some studies have shown that birth order does have an influence on personality. For example, since the oldest child is the only child for period of time, it is held that he or she becomes used to being the center of attention, and that this may persist into adulthood, producing a personality which craves power and influence. The youngest child, according to this way of seeing things, having become used to being smaller, weaker, and less competent than siblings may develop into an adult who expects others to make decisions and take responsibility. The middle child, having experienced neither the rights and freedoms of the oldest nor the privileges and special treatment of youngest, may, according to the birth-order theorists, feel that life is unfair, or that she or he is unloved or less loved than the others, and develop into an adult who suffers from a negative view of his or her lot in life. On the other hand, it is said that middle children, since they must learn to deal with both oldest and youngest sibling, often learn adaptability, and may turn out to be the kind of adults who are good mediators and negotiators. In my experience, using birth order to understand personality is not terribly useful. A good psychologist does much better to hear the unique story of the person in question, and to try, by means of deep listening and empathic attunement, to see into the particular inner experience of the patient. If birth order really were important in the personality development of the patient, this will best come out through hearing and feeling recollections about the individual family of origin--not by projecting some generalized scheme about birth order onto the singular personal experience of the patient. The psychologist Judith Harris seems to agree with me here. In her book, The Nurture Assumption, she points out that our personalities do seem to reflect the influences of birth order, but only when we are with our families. According to Harris, when we are with others besides our family memembers, the effects of birth order upon personality cannot be found. This suggests that most of us have one kind of personality when we are interacting with the world at large, and another when we are within the bosom of the family--and I have found this to be true. Perhaps this is why so many people like to avoid family gatherings: they don't like who they are when surrounded by the people with whom they grew up. In any case, AnnMarie, your difficulties with anxiety, depression, and agoraphobia do not, in my opinion, have much, if anything, to do with birth order. After all, countless middle children--the vast majority--do not suffer from these problems, and many first-born, and last-born children do suffer from them. I understand that it might feel comforting to you to find reasons for your suffering in the impersonal facts of birth order, but this would be a mistake, as I see it. In my opinion, no generalized scheme for understanding personality development will help someone like you who needs not theoretical explanations, but the new skills and continuing emotional support which will help you to deal better with anxiety and depression. For best treating these two complaints--anxiety and depression--reality-based personal psychotherapy (along with proper medication, if necessary) is the only viable option, in my opinion. The psychotherapy, in my view, ought to deal primarily not with explanations, but with the actual daily experiences of anxiety and depression. In other words, the therapy should not concentrate on asking "why? ", but should instead ask "what? ", and "how?" "What do you feel when you are depressed?" "How does it feel to go out in public?" These are much more useful and better questions than "Why are you depressed?" (Answer: "I am depressed because I am a middle child"). In addition, your mention of having felt suicidal tells me that you should stop trying to play doctor to yourself, and instead get some competent professional help right away. Please do. To comment about anything relevent to this website, or to read the remarks of others, visit the dr. robert forum, where reflections and opinions may be posted for all to see.